Here at Tuffa Tanks, we can’t believe how fast this year is flying by. With events and festival season just a few months away now, it’s going to be another busy spring and summer for our industry. 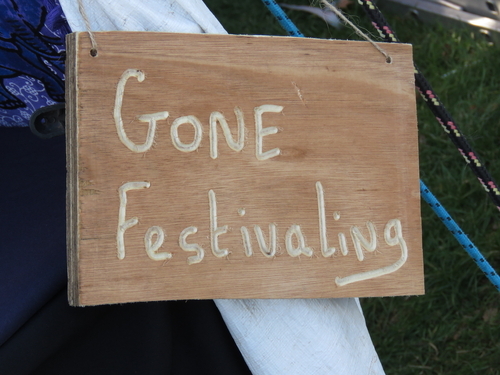 So, just how do we fit into the festivals and events that the British public love so much? We provide water storage tanks to ensure that there is always a supply of fresh water to drink, that toilet facilities are sanitary and showers are provided, where necessary. That’s right; the event and festival industry is one of the biggest in the country and more people than ever are now enjoying camping facilities. With festivals like Glastonbury selling out in less than half an hour and other events in the UK and Europe celebrating ticket sale success; the need for the water storage tanks we provide is all the more important. Tuffa has designed and manufactured a wide range of solutions for over 20 years when it comes to water storage tanks and more. Not only are our products completely accessible but capacities are based on our customer’s needs and requirements. Demonstrating the ultimate durability and resilience; our tanks are ideal for both potable and non-potable water. Our water storage tanks are available with up to 20,000 litre capacity per unit. All of our potable water tanks are approved by the Water Regulations Advisory Scheme, to ensure they are safe and suitable for human consumption. Providing festival and event-goers with a sufficient supply of fresh running water is imperative to the success of any event, especially where camping is concerned. Festival toilets have something of a bad reputation amongst visitors, with many event organisers and websites offering advice on how to cope when using them. However, in the background, the event sanitation staff will be working day and night, using our water storage tanks to ensure your experience is as clean and sanitary as possible. If your business is involved in a large-scale event or festival this year and is in need of some water storage tanks, then use Tuffa Tanks. We have a broad range and variety to choose from, such as the Effluent Storage Tank which can be used in the toilet areas. So rest assured you’ll be in safe hands with the UK’s number 1 manufacturer of storage tank solutions.